The Trust is looking for assistance at special events to help raise awareness and increase its membership. If you are friendly, helpful, comfortable with interacting with the public and can spend a day or two helping out then we’d love to hear from you. No experience is necessary! Please contact Robert Ayton, Steve Cooper or Aidan Kelly via [email protected] for further information. We’d be glad to have you along. 6th and 7th April. 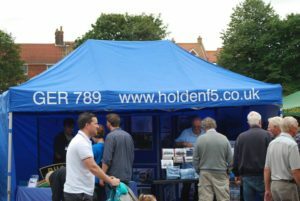 Meet the GER 789 team at the East Anglian Railway Museum’s Steam Gala, Chappel Station, Colchester Essex CO6 2DS. 8th May. Norwich & District Society of Model Engineers. Interactive illustrative GER 789 talk. Eaton Park opposite Colman School, South Park Road NR4 7AU Entrance is on South Park Road.